January 8: Teresa's baby boy, Shane Michael Kettler, is one year old! January 10: Happy Birthday LM! January 18, Happy Birthday Anja! January 21: Happy Birthday Gary! I copied and pasted this calendar from the other forum....no time to sit and redo it!!! Ok, I'm confused! was something wrong with the 2008 smiley? Rhonda edited her post. She went back to the dollar store where she got the "2007" glasses and exchanged them for the "2008!" January 8: Teresa's baby boy, Shane Michael Kettler, is two years old! January 19: Martin Luther King Day! LOL, thanks for the 2009 smiley too Rhonda This being New Year's Day, I hope everyone is starting off the new year wonderfully! January 8: Teresa's baby boy, Shane Michael, is three years old! January 18: Martin Luther King Day! Could I please request "Australia Day" Jan 26 please be added? January 8: Teresa's baby boy, Shane Michael, is four years old! January 17: Martin Luther King Day! Wow, Teresa's Shane is 4 already?????? How did that happen. It seems like he was just born. Teresa, give him a hug for me, ok.
Ah! Could we add one more celebration to our Jolly January, please? Our Julia's birthday is the 26th. We don't want to miss out on throwing her a party on the prairie. 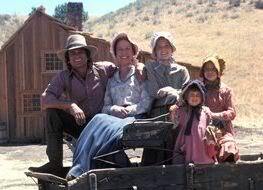 January 21: Happy Birthday Gary a/k/a charles ingalls! Mine's coming up on the 15th. I will be 21 again. Wow, we have a lot of January babies on the board!